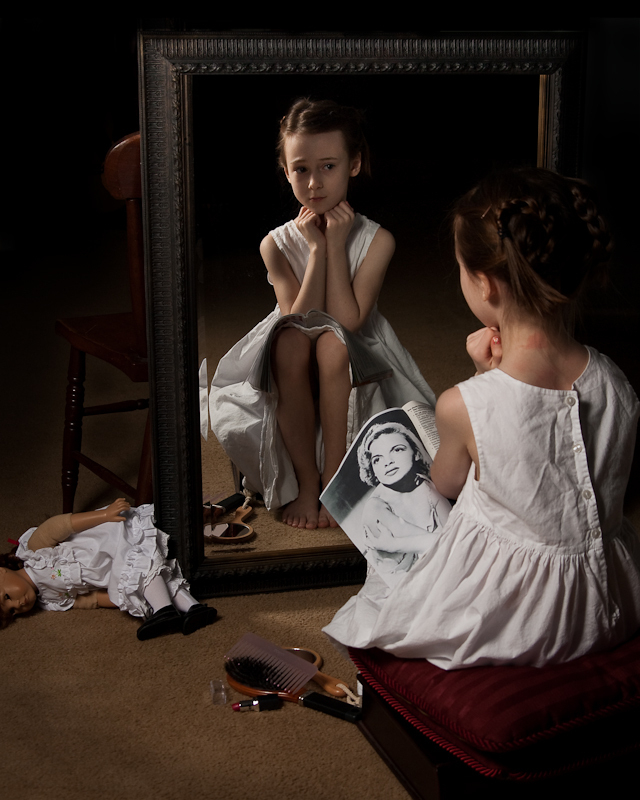 A recreation of Norman Rockwell’s “Girl at Mirror”. Thank you Kathryn for being my model for this one. To see the original click here. I just love doing recreations and it’s great to have a family that is willing to model for them. Photography Tip: Look for objects sticking out of people’s head. This is amazing. Beautiful! I can't say enough about how fabulous this is. Applause for a job well done.